Muslim assailants in military fatigues carry sophisticated arms. 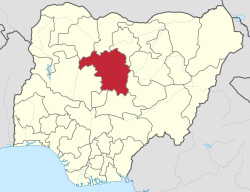 KAFANCHAN, Nigeria (Morning Star News) – Attacks by Muslim Fulani herdsmen or allied gunmen in southern Kaduna State appear to be increasingly militant, marked by greater sophistication in training and arms, sources said. Advocacy group Jubiliee Campaign released a statement on Wednesday (Nov. 9) noting that a militant group associated with Fulani herdsmen has become increasingly dangerous. Having retaken much of the territory that the Islamic extremist Boko Haram claimed in Nigeria’s northeast in 2014-2015, the Nigerian military has reportedly warned Fulani herdsmen that they will be targeted next, according to a Nigerian Defense spokesman. 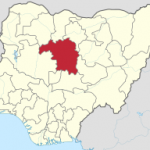 At least 22 Christians in Kaduna state were killed in the past three weeks in attacks that included men in military uniform calling a meeting that ended in the slaughter of the village leaders, sources said. Area leaders blamed Muslim Fulani herdsmen and militants allied with the herdsmen for the attacks, which have accelerated in recent months. “Two churches were destroyed at Angwan Ali and Sabon Gari villages, while all 22 Christians killed by the herdsmen are members of local church congregations in area villages,” the Rev. Dauda Samson of the Evangelical Church Winning All (ECWA), Angwan Mailafia, told Morning Star News. Pastor Samson said that herdsmen killed one Christian in Tudun Wada on Friday (Nov. 4). On Oct. 27, he said, three Christians were killed in Angwan Ali; nine were killed in Pasakori village; seven in Ungwan Misisi; and one in Angwan Kagoro-Gidan Waya. In Tachira, a village in the Kaura Local Government Area, armed Fulani herdsmen ambushed a Christian on his way to a church worship service on Oct. 20. Area resident Markus Usman told Morning Star News the herdsmen dragged the Christian into the bush and hacked him to death while the service was going on. “The corpse of the murdered Christian was found in the bush after the church service, as the members of the family of the victim discovered traces of blood that led to a nearby bush,” he said. Military officials told Jema’a LGA Chairman Humble Katuka, however, that the soldiers meeting with the village elders did not kill them. The soldiers also came under attack from the herdsmen who approached the area firing on the outskirts, with some of the invading herdsmen dressed in military fatigues, according to Nigerian press reports citing Katuka. Katuka said the military officials told him the soldiers meeting with the villagers also came under fire, were firing back to save their own lives and did not turn their guns on the villagers. At the end of the 15-minute attack, he said, 16 homes had been burned down and six people killed, including the village head. Besides Zogo, KADA’s Williams identified those killed in the attack as Yakubu Abuja, 80; Adamu Bulus, 30; Majhe Audu, 50; Karu Amos, 42; Confidence Kibadu, 29; and Kurma Amos, 44. The Kaninkon Chiefdom where the attack took place is an area where Fulani jihads of the 19th century fell short, and the attacks there constitute an Islamist attempt to complete that previous jihadist effort, he said. Williams said lack of effort by area security forces indicated a conspiracy by government officials to wipe out the predominantly Christian tribe. “The professionalism employed by the attackers is such that [they could be] only trained people who have the backing and aid of some people in government and the security forces,” he said. He said security forces in the area deliberately refused to gather information necessary to have prevented the Oct. 27 attack. “These attacks have gone on for more than one week, and the security men are either not there, or they are aiding and abetting the attackers to annihilate our people and destroy their hard-earned properties,” he said. Pastor Samson said many Christians have been forced out of their villages as a result of the attacks. Area resident Aku Hosea told Morning Star News that attacks by the herdsmen have become common and displaced thousands of Christians. Grace Daniel, a resident of Kafanchan, told Morning Star News that these are trying times for Christians there.